A Devonian who after an eventful life, worked tirelessly to conserve Hemyock Castle, open it to the public, and even put it back on the map. Mrs. Sheppard moved to Hemyock Castle with her family in September 1983 and lived here until her sudden, unexpected death in 1995. She was a true Devonian, descended from generations of local yeoman farmers and squires. However, she was brought up in the London area because her father had left farming to be an Engineer, latterly working for British Thomson-Houston (BTH). She won a scholarship to Harrow Grammar School and against her father&apos;s wishes trained as a nurse at North Devon Infirmary where as a young student she won Nurse of the Year Award. This was wartime and staff were in short supply. Before she was 20 she was nursing not only the North Devon sick, but the poor, terribly burnt pilots from RAF Chivenor who had been shot down. Later in the war she became a Queen Alexandra Royal Naval Nursing Sister. Amongst her postings, was to Londonderry, Northern Ireland where with the other nurses she had to learn to march in order to parade for the surrender of the German Submarine fleet in 1945 – see Hemyock Memories Kindle eBooks for further details. 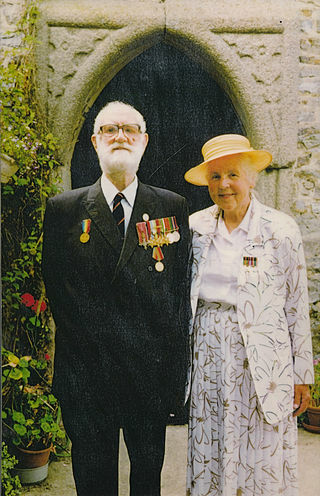 After WWII, she married Royal Naval officer William Sheppard, giving-up nursing to bring up her family, while having to move from posting to posting. Their first posting was to steamy Colombo in newly independent Ceylon (now Sri Lanka). Here, they immediately had to learn how to cope with running their official house with its large rigid retinue as well as the pressures of their extra semi-diplomatic duties including attending many social events with officials in Ceylon&apos;s new government. Once back in UK, they had to contend with post-war rationing and with the very severe post-war shortage of housing near their Royal Naval bases; due to wartime bomb damage, & also because many overseas postings were ending, so many people in the armed service who had been letting-out their houses were returning to live in them: In one dreadful period, Captain & Mrs. Sheppard & their young family had to move house four times in six months; staying in one rented house for only two weeks. They spent many years living near Royal Naval bases in the Portsmouth area. However Mrs. Sheppard always kept in touch with her roots in Devon. When the opportunity came up in 1983, the family purchased and moved to Hemyock Castle which then was in a largely ruinous condition. Then followed several years of heavy manual work – clearance of the "jungle like" site, consolidation of the ancient walls and buildings – she was responsible for saving Hemyock Castle from further decline and ruin. She literally got Hemyock Castle put back on the map: Previously, it had been removed from Ordnance Survey maps. Mrs Sheppard dealt tirelessly with the various bureaucracies – English Heritage, Listed Buildings Officers, Planning Authorities, all the local opposition etc. etc. She also ensured that the history and archaeology were researched and recorded, and then interpreted in a way to interest visitors. She was responsible for setting up the display areas, making many of the costumes and acquiring the artefacts to provide "room settings" to illustrate the history of the site. The Sheppard family had bought Hemyock Castle after its cider orchard & farm land had already been sold off in the early 1970s. The ancient and interesting outbuildings that had been used when it was a farm, had fallen into disrepair. Mrs. Sheppard found and developed alternative uses for these. She had to overcome yet more bureaucratic procedures, and surprisingly strong local opposition, especially from some local councillors. Now these ancient buildings have largely been consolidated and been given a future. They provide much wanted local housing from which the rents support the maintenance of the site, and provide display areas illustrating the history of the site from early to modern times. Mrs. Sheppard was responsible for introducing Heritage Open Days to Hemyock when this Europe-wide movement to celebrate local heritage first started in the 1990s. She organized the annual event at Hemyock Castle until her sudden death in 1995. Captain Sheppard supported it until his sudden death in 1998. Their family participates in this annually in their memory.